In the summer of 1974, Kate Mularkey has accepted her place at the bottom of the eighth-grade social food chain. Then, to her amazement, the “coolest girl in the world” moves in across the street and wants to be her friend. Tully Hart seems to have it all—beauty, brains, ambition. On the surface they are as opposite as two people can be: Kate, doomed to be forever uncool, with a loving family who mortifies her at every turn; Tully, steeped in glamour and mystery, but with a secret that is destroying her. They make a pact to be best friends forever; by summer’s end they’ve become TullyandKate. Inseparable. So begins Kristin Hannah’s magnificent novel. Spanning more than three decades and playing out across the ever-changing face of the Pacific Northwest, Firefly Lane is the poignant, powerful story of two women and the friendship that becomes the mainstay of their lives. From the beginning, Tully is desperate to prove her worth to the world. Abandoned by her mother at an early age, she longs to be loved unconditionally. She will follow her own blind ambition to New York and around the globe, finding fame and success…and loneliness. For thirty years, Tully and Kate buoy each other through life, weathering the storms of friendship—jealousy, anger, hurt, resentment. They think they’ve survived it all until a single act of betrayal tears them apart…and puts their courage and friendship to the ultimate test. Firefly Lane is for anyone who ever drank Boone’s Farm apple wine while listening to Abba or Fleetwood Mac. More than a coming-of-age novel, it’s the story of a generation of women who were both blessed and cursed by choices. It’s about promises and secrets and betrayals. And ultimately, about the one person who really, truly knows you—and knows what has the power to hurt you…and heal you. 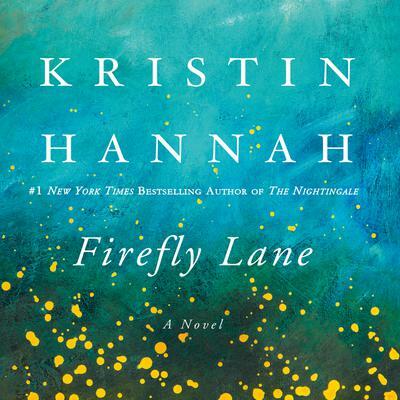 Firefly Lane is a story you’ll never forget…one you’ll want to pass on to your best friend.